What Does a Matured IRA Mean? 1. What Happens at the Maturity Date of My IRA CD? Anyone with a taxable income and a few spare dollars can open an Individual Retirement Account. These accounts are specifically designed to help you save for retirement while saving on taxes. Once the account is open, you can fund it with any type of investment you like – cash, stocks, bonds, mutual funds or certificates of deposit. IRAs do not mature as such, although some of your investments might. There is, however, a sting in the tail if you attempt to withdraw money before you reach "maturity," which the IRS defines as age 59 1/2. Put money into a traditional IRA account, and you can deduct your contributions from your taxable income for that year, giving you an immediate tax saving. The money will grow in your IRA without being taxed. You don't pay tax at all until much later down the line when you start withdrawing the money at retirement. This is known as deferred tax growth, and it's a boon for your retirement income. Sadly, there's a limit to how much money you can put into an IRA without incurring a penalty. The largest amount you can contribute across all your IRA accounts is $5,500 in 2018. In 2019, the limit will increase to $6,000. From the age of 50, your contribution limit goes up to $6,500 for 2018 and $7,000 for 2019. This is much less than the amount you can contribute to an employer plan like a 401(k). Roths are like traditional IRAs except that the tax breaks happen in reverse. With a Roth, you don't get to deduct your contributions. However, you pay no taxes when you retire and take the money out of your account. The money grows tax-free while it is sitting in your account, just like a traditional IRA. You're single and your adjusted gross income is not more than $120,000. You're married filing jointly and your AGI is not more than $189,000. If you make more than those limits, but less than $135,000 (single) or $199,000 (married filing jointly), you can still contribute to a Roth IRA, but you can't contribute the full amount. The worksheet in publication IRS 590-A can help you work out your maximum permitted contribution. It's important to understand that IRAs are a vehicle, not an investment. You use money in your IRA to make investments, which you hold inside the IRA account. Investment options are as broad as they are long, ranging from stocks and bonds to alternatives such as income-producing real estate and precious metals. Some investments have a maturity date. When you buy a $5,000 Treasury bond, for example, you're loaning money to the government for a predetermined term such as 10 years, in exchange for a guaranteed interest rate. When the terms come to an end, the bond is said to have "matured." The same principle applies to other fixed-term investments such as certificates of deposit and annuities. Stocks, by contrast, are open-ended, which means they remain active for as long as the corporation exists. You can sell or redeem your shares at any time with no set end date. The key point here is that your money is on lockdown until the investment matures. You may be able to take your money out early, but only if you're prepared to forfeit a hefty penalty. With a three-year certificate of deposit, for example, you might lose as much as six months' worth of interest if you cash in the CD before the three years is up. What Happens When an IRA Investment Date Matures? Suppose you hold a fixed-term investment like a CD outside an IRA. At maturity, the issuer will liquidate the certificate and send you a check for the balance, or transfer the money to your personal account. This money is yours to do with as you please – you could pay the mortgage, buy a car or go on vacation. The earnings you've made are taxable and you'll declare the income on your tax return. It's different when you hold a CD inside an IRA. The issuer will still liquidate the CD and deposit the balance into your IRA. But you cannot use the money to go on vacation! Rather, the money is credited to your retirement fund where it must stay until you reach the age of retirement. According to the IRS, that age is 59 1/2. Most people will simply roll the money into a new fixed term investment – this happens automatically with many CDs and some annuities. So if you don't do anything, your three-year CD will roll over into another three-year CD when the initial three years are up. Usually, you'll have a 7-to 10-day window to switch to another investment if you change your mind. The upside here is compounding, which means the earnings from your investment are reinvested to generate more earnings. This has a significant impact on how quickly your retirement wealth grows. All this investing and reinvesting cannot go on forever and at some point, you'll want to take money out of your IRA. IRS rules state that you can begin withdrawing from your IRA when you reach age 59 1/2. With a traditional IRA, you must start taking some minimum distributions at age 70 1/2 or face a penalty. Just like a fixed-term investment, you can withdraw early from a traditional IRA if you want. And just like a fixed-term investment, you'll pay a heavy price for doing so. The IRS will charge you income taxes on your withdrawal plus an additional 10 percent as a penalty. So while an IRA doesn't "mature" as such, your money is essentially in lockdown until you reach age 59 1/2 – unless you want to hand a fat check to the taxman. Roth IRAs are different. Since you've already paid tax on your contributions, you can take the principal out of your IRA whenever you like with no penalty – but that's the principle, not the investment earnings. Remember that returns grow in your Roth tax-free: the taxman will want a slice of the pie if you withdraw them early. If you pull the gains out before age 59 1/2, you'll pay income tax on the distribution and a 10 percent tax penalty. If your account is a Roth, you must keep it open for at least five years before you can take tax-free distributions. The bottom line is that an investment does not really mature when it's inside an IRA, in the sense that you cannot get your hands on the returns until you retire. You cannot liquidate a mature bond or CD before age 59 1/2, for example, and expect it to keep its tax shelter. On the contrary, you'll be hit with taxes on the withdrawal and the 10 percent premature payment penalty. 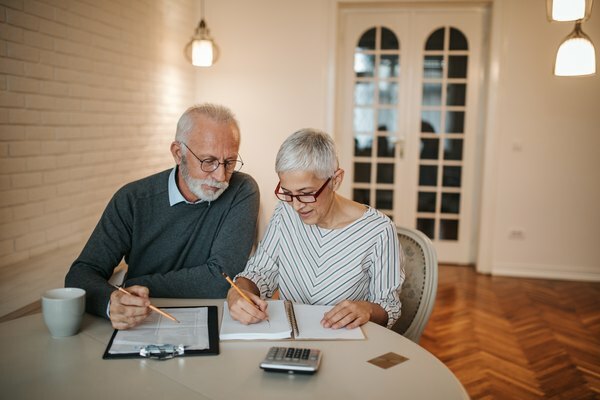 The rules are more lenient with a Roth, but penalties still apply if you attempt to withdraw your pre-tax earnings before the IRA matures when you reach age 59 1/2. Will Social Security Benefits Be Reduced if an Ex-Spouse Draws on the Benefits? Is a Roth Spousal IRA Subject to RMD Distributions? Does It Make Sense to Borrow for an IRA Contribution?